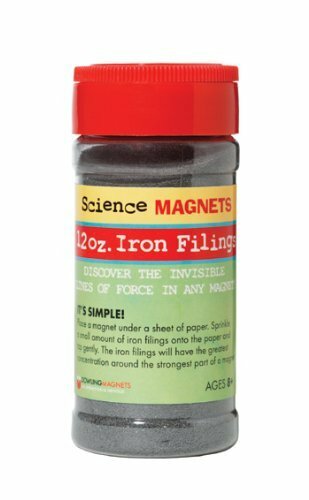 Home › Toys › Dowling Magnets Iron Filings 12 Oz. Dowling Magnets Iron Filings 12 Oz. Dowling Magnets Iron Filings, 12 oz. Map magnetic fields using iron filings and a magnet. This item includes 12ounces of iron filings in an easy-to-dispense jar.